Knowing how your brain works helps you optimize your brain training. Here are 12 brain wellness articles to learn how your brain works, teach you healthy habits and discover how mental and emotional fitness leads to a better life. Learn how to train your brain, manage stress, and build resilience today! Which form of exercise is best for improving cognition? How does meditation help calm your mind? How does trauma in childhood affect the growth of adolescent brains? Can neurofeedback training support executive functioning in kids and mental acuity in adults? The brain is a fascinating topic. It is both the most important organ in our bodies, and also the most complex. For centuries, the brain remained a mystery. It is only now, with the help of technological advancements, that we are beginning to grasp the intricacies of the physical mind. There is still much we don't know, but luckily we now have scientifically-backed information that helps us improve our mental and emotional health, and lead more fulfilling lives. Brain training is a strategy that more and more people and professionals are using to help them become more resilient, focused and calm. One form of brain training in the news is neurofeedback, which uses the brain's electrical activity, to interrupt mental and emotional habits. Brain training is all about unlocking your potential. We found 12 of the most interesting and recent findings. See what our brains are capable of, how neurofeedback brain training has helped people and studies on how to boost your brain training. When fear takes charge of our brains we tend to focus all our attention on risks and worst-case scenarios. Here’s how to turn down the noise. The part of our brain designed to keep us safe is Frightened Fred (along with his friends Big Boss Bootsy and Alerting Allie) who can trigger our ‘fight’ or ‘flight’ response. This part of the brain has been brilliantly effective in the survival of humankind, but it can also get in the way of our daily living sometimes. We have become GREAT at listening to Frightened Fred and spotting the potential pitfalls at every turn: “Did that person in the supermarket just give me a dodgy look?” “Is that chap standing a bit too close to my kids? We are primed to take care of our own survival and that of our off-spring. Some days, Fred turns up the volume and we focus all our attention on these risks, potential dangers, failures and worst-case scenarios." The brain needs sleep more than any other organ. Read about the consequences of not getting enough. "For a long time, researchers weren’t quite sure why we sleep. There are a number of different theories. Some are evolutionary: For instance, sleep keeps us out of trouble at night and away from animals who wake up and hunt after the sun goes down. Some are physiological: Sleep lets us conserve precious energy. And some are anecdotal: Parents joke that they’d go nuts if sleep didn’t exist, since it affords them a much-needed break from their kids. 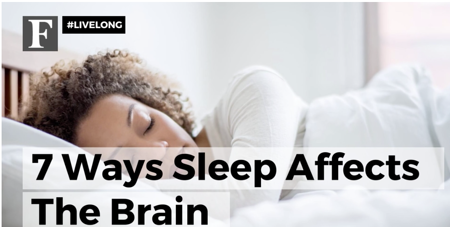 But the reality is that the brain does a lot of work while we’re sleeping—even though we’re unconscious, this doesn’t at all mean the brain is “off.” In fact, in many ways, it's incredibly "on." The RAND research group just came out with a 100-page analysis of how sleep affects us and what sleep deprivation can do to us—and to the economy. They estimate that between lost work and poor performance at work from lack of sleep, the U.S. alone loses $411 billion each year. Though businesses and policy makers may be interested in the financial repercussions of sleep deprivation, these repercussions stem from people being unwell because of it, which underlines the very real consequences of sleep deprivation." When the road gets rocky, what do you do? Find out ways to cope with tough times. "A mentor of mine recently passed away, and I was heartbroken—so I tried my best to avoid thinking about it. I didn’t even mention it to my family because I didn’t want those sad feelings to resurface. Even for the relatively self-aware and emotionally adept, struggles can take us by surprise. 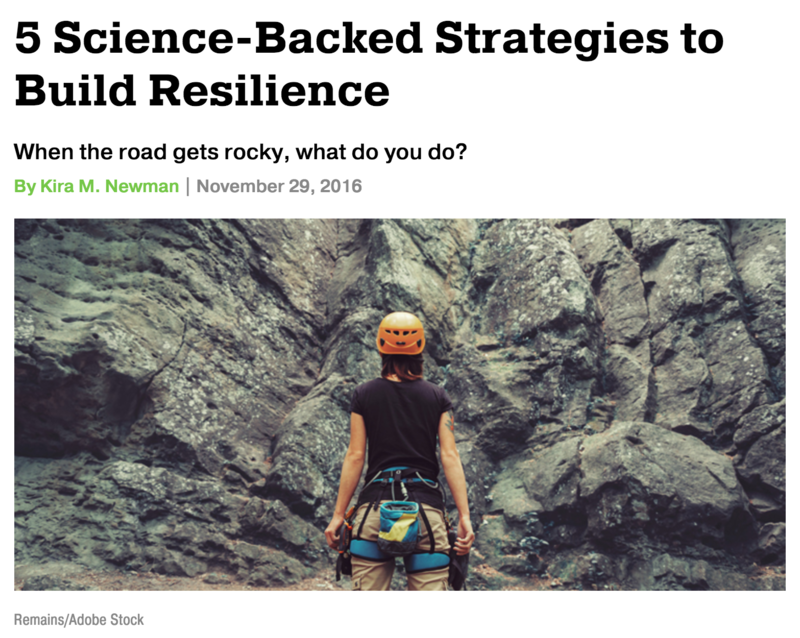 But learning healthy ways to move through adversity—a collection of skills that researchers call resilience—can help us cope better and recover more quickly, or at least start heading in that direction." Is social media taking up too much of your time? It may be hurting you more than you think. "I’m a millennial computer scientist who also writes books and runs a blog. Demographically speaking I should be a heavy social media user, but that is not the case. I’ve never had a social media account. At the moment, this makes me an outlier, but I think many more people should follow my lead and quit these services. 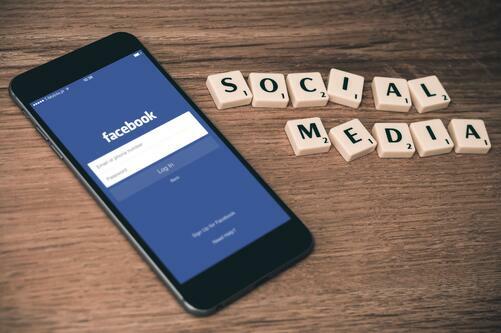 There are many issues with social media, from its corrosion of civic life to its cultural shallowness, but the argument I want to make here is more pragmatic: You should quit social media because it can hurt your career." Discover a meditation plan that you can easily make a healthy habit. "At a new restaurant or trendy health spa, if the food tastes amazing or the massage melts our aching muscles, our sensory experience gives us an accurate indication of the benefits – but meditation is more complex. An "it-better-be-amazing" approach to meditation will lead us away from its benefits, not towards them. In fact, heightened expectation of the results will increase the likelihood that new meditators will quit this scientifically proven way to reduce stress and improve brain health before they receive its potential benefits. Why is our expectation an obstacle to mindfulness practice? What is a helpful attitude to approach meditation with in order to discover the "beginner's mind" that is in harmony with its purpose?" Parents see their children improving with neurofeedback therapy. 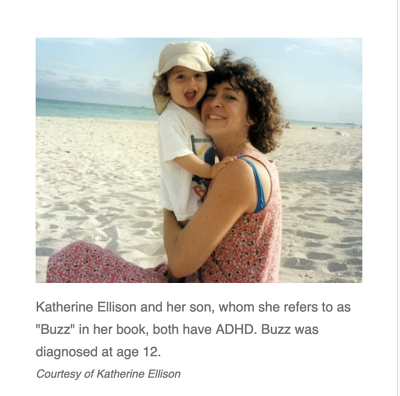 Katherine Ellison's son was 12 when they started on a neurofeedback program. A growing number of parents see neurofeedback as an appealing support for mental and emotional fitness. The training session is relatively simple and painless. First, a practitioner attaches three to 10 electrodes to the child's head. Each electrode sprouts a lead, or wire, connecting it to a computer. The child sits in front of a screen displaying images that respond to the child's brain activity. When the child has the right kind of brain activity — the images are rewarding or positive, for example — puzzle pieces might fall into place. Proponents say this helps encourage better behavior over time." PTSD can have intense effects on the adolescent brain, the key is looking at neural patterns. 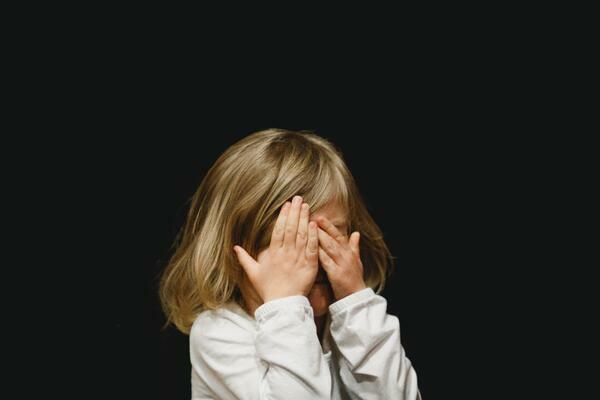 "Post-traumatic stress disorder (PTSD) is mostly widely known for its effects on those who have experienced combat, but what impact can it have on children? 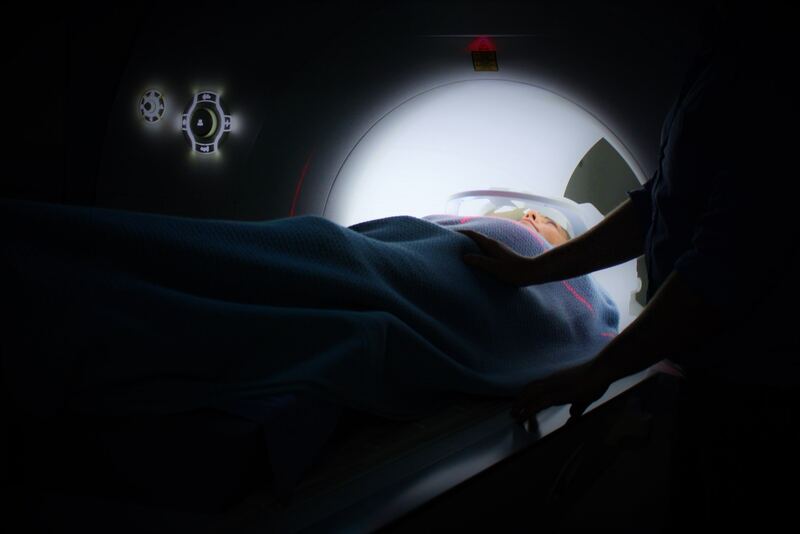 Researchers from China used MRI to show PTSD's devastating effects in children, with many images showing significant disruption of normal brain functions. The study, published in the journal Radiology, showed children as particularly susceptible to PTSD, because neurochemical and hormonal changes affect the structure and function of younger individuals for the rest of their lives." We all know that exercise is good for us. Do you know how it affects your brain? 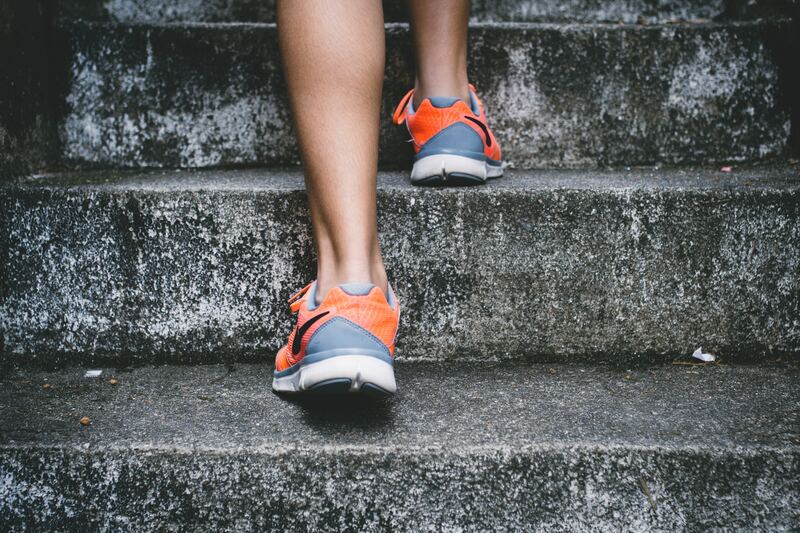 "Set aside the brain games for a moment, and consider dusting off the running shoes or slipping into a swimsuit, because new research indicates that aerobic exercise might be a better option than Sudoku for fighting the age-related condition known as mild cognitive impairment. Mild cognitive impairment develops into Alzheimer’s disease eight out of 10 times, so it is a bigger deal than just forgetting where you put your purse or the name of your favorite movie. New research confirms that aerobic exercise can increase brain size and improve cognition, according to Medical News Today. A team led by Dr. Laura D. Baker from Wake Forest School of Medicine (WFSM) in Winston-Salem, NC, examined 35 adults with mild cognitive impairment. In a randomized, controlled trial, the team divided the study participants into two groups. One group participated in aerobic activities including treadmill, stationary bike, and elliptical training. The control group engaged in non-aerobic exercise. The participants trained four times each week for six months. The participants underwent magnetic resonance scans before and after the six-month period. The images were compared using conventional and biomechanical metrics. The researchers examined changes in brain volume and shape." Exercise combined with brain training may enhance the effects of both. Exercise broadly improves our memories and thinking skills, according to a wealth of science. The evidence supporting similar benefits from so-called brain training has been much iffier, however, with most people performing better only on the specific types of games or tasks practiced in the program. But an interesting new study published in the Journal of Cognitive Neuroscience suggests that combining intense exercise and brain training might, over time, amplify the benefits of both for the brain, even in people whose minds already are working well. Feeling insecure? See how neurofeedback can help. "People's brains can be tapped in order to boost their confidence, through a technique named decoded neurofeedback, which consists of scanning someone's brain in order to analyze its activity. Then through the means of artificial intelligence, activity patterns suggesting feelings of confidence can be spotted and stimulated. The research was published in the journal Nature Communications on Dec. 15, and it confirms previous studies that suggested the brain mechanisms that generate the feeling of confidence. The same researchers have already published a paper that implies that decoded neurofeedback could be employed in erasing frightening memories, and the current study takes that a step further. As part of the new research, 17 subjects' brains were scanned, as they completed a perceptual task consisting of figuring out whether a series of dots on a given screen were moving toward left or right. Then the subjects rated their confidence in the choices they made. The scientists used this method to establish the brain activity patterns that were active during these two tasks and then examined the subjects who responded to have been very confident with their answers. What the team wanted to understand as part of this step is how confidence looks like as a brain activity. After coming to a conclusion, they employed the insight into creating a higher likelihood for this type of brain activity to occur in the future." Mental stress affects our mind, did you know it also affects our bodies? "The holiday season is nearly upon us, and it is a stressful time for many. You may be surprised to learn that stress can contribute to poor blood glucose control, in specifically Type 2 diabetes and pre-diabetes. Often we cope with the seasonal stress by eating, drinking, watching TV and shopping. 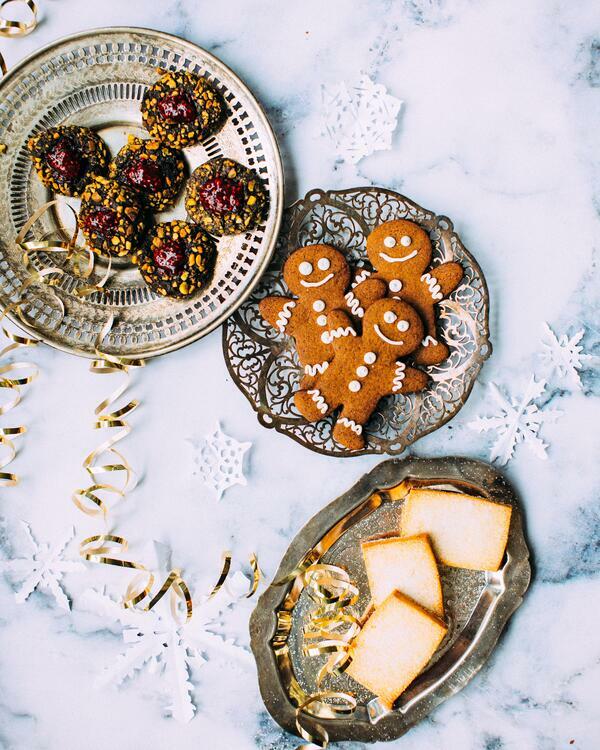 These coping techniques, as well as the excess of parties, cocktails, desserts and candy this time of year can also make managing blood glucose a challenge. What is stress? Stress can include physiologic or psychologic response to external stimuli, or stressful events themselves. This can be further individualized to what may trigger a response or be classified as a stressful event by each person. Your perceived stressors may be different from your best friend’s or mother’s. Being able to acknowledge this when you are feeling stressed or someone close to you is experiencing stress is very helpful in the adaptation and management of stress." Cancer patients report improved mental functioning with neurofeedback training. "Zengar Institute, Inc. announced results today of a new peer-reviewed study measuring the effects of NeurOptimal® Neurofeedback on patients suffering post-cancer cognitive impairment (PCCI) or “chemo-brain”. The research, conducted by the Applied Brain Research Foundation of Ohio, reported a 91% success rate for PCCI patients using NeurOptimal® Neurofeedback’s brain training system. 21 of the 23 participants in the study reported a complete reversal of the cognitive impairment or “mental fog” commonly associated with chemotherapy treatments. The results of the study were published online April 12, 2013 in Integrative Cancer Therapies, a professional research journal. "Almost everyone improved and returned to normal levels. That was surprising and gratifying”, research director Jean Alvarez told The Cleveland Plain Dealer earlier this week. Keep reading our brain health and wellness blog, once a week, right in your inbox. 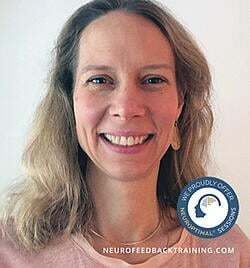 Natalie N. Baker, LMHC, is the founder of Neurofeedback Training Co. and certified Advanced NeurOptimal® Neurofeedback trainer. She holds a Master's Degree in Counseling and has been working as a psychotherapist since 1999. As a practicing Buddhist since 1991 and a meditation teacher since 1998, Natalie combines her Western and Eastern approaches to bring a broader perspective to mental health and wellness. In 2010 she added neurofeedback therapy to her practice as additional support for optimizing wellness.